David Jim Estes, age 74, of Mt. 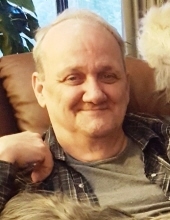 Vernon, Missouri, passed away at 4:17 p.m. on Friday, March 22, 2019, at his daughter’s home in Mt. Vernon. He was born August 10, 1944, in Winston-Salem, North Carolina, the son of Otis and Mary (Powers) Estes. David was a graduate of the Missouri Military Academy in Mexico, Missouri and was a retired U.S. Air Force Veteran serving during the Vietnam Era. He was the owner of Estes Cartridge Recycling and was a member of the Mt. Vernon First Presbyterian Church. On October 19, 1963, he married Sherry Neill, in Clovis, New Mexico. David is survived by his wife of 55 years, Sherry; two sons, Martin Estes and his wife, Deanna, Shane Estes and his wife, Tracey, all of Mt. Vernon; one daughter, Angie Butler, and her husband, Brandon, of Mt. Vernon; three sisters, Diane Woodington of Lincoln, Missouri; Carolyn Freeman of Coral Gables, Florida and Leslie Ochsenbein of Tipton Ford, Missouri; seven grandchildren, Nat Wachowski-Estes, Megan Calvert, Elisa, Marissa and Gracie Estes, Kendall and Quinn Butler; three great-grandchildren and several nieces and nephews. David was preceded in death by his parents, Otis and Mary and two grandchildren, Whitney Estes and Gabriel Butler. A funeral service will be held at 2:00 p.m. on Wednesday, March 27, 2019, at the Fossett-Mosher Funeral Home in Mt. Vernon. Burial, with full military honors, will follow at the Mt. Vernon IOOF Cemetery. Visitation will be held from 6:00–8:00 p.m. on Tuesday, March 26, 2019, in the funeral home chapel. To plant a tree in memory of David Jim Estes, please visit our Tribute Store. "Email Address" would like to share the life celebration of David Jim Estes. Click on the "link" to go to share a favorite memory or leave a condolence message for the family.